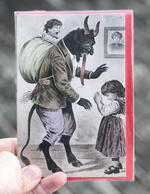 Devilish greeting cards featuring the Krampus, packaged in a deluxe metal tin. 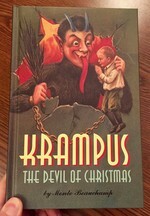 In the early Christmas traditions of Europe, the Krampus was St. Nikolaus' dark servant-a hairy, horned, supernatural beast whose pointed ears and long, slithering tongue gave misbehavers the creeps! 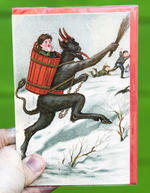 This collection of vintage Krampus images includes 20 cards -- two each of 10 different designs. 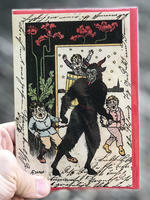 Krampus Greeting Cards are the perfect gift for a naughty friend or for yourself. 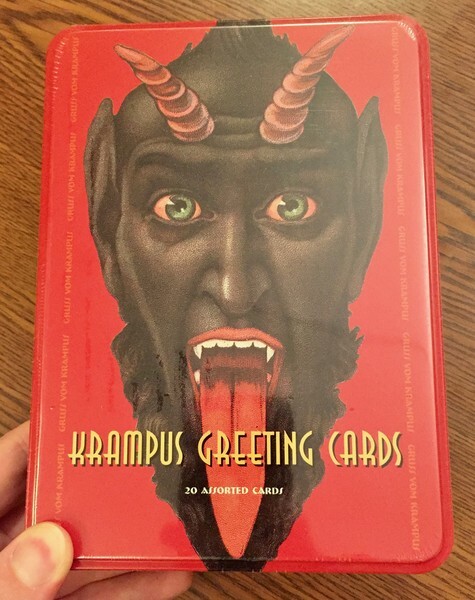 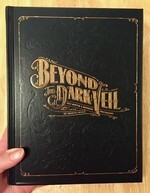 The set contains 20 full color cards and 21 red envelopes, packaged inside a metal tin decorated with a striking image of the Krampus. 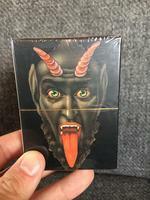 Gruss vom Krampus! 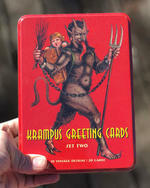 Greetings from Krampus!